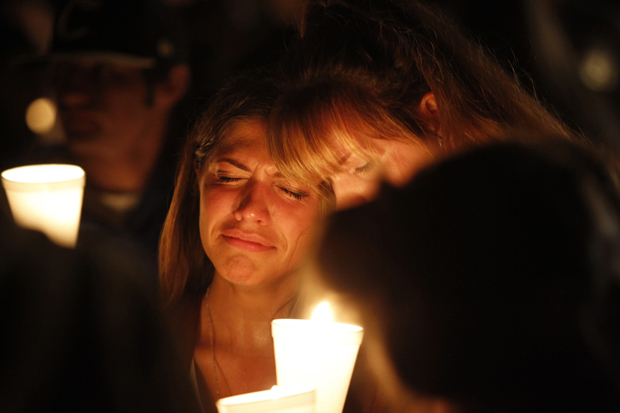 PORTLAND, Ore. (CNS) — St. Joseph Parish in Roseburg hosted an emotional Mass the evening of Oct. 1 for 10 people who died in a shooting that morning at Umpqua Community College. Auxiliary Bishop Peter Smith traveled from Portland for the liturgy. Authorities in Roseburg, in green rolling hills 180 miles south of Portland, identified the shooter Oct. 2 as 26-year-old Chris Harper Mercer, but did not give details about him. The names of those he fatally shot had not yet been released. Nine others were wounded. FBI investigators say the gunman brought six legally purchased weapons to the small college and was wearing a flak jacket. 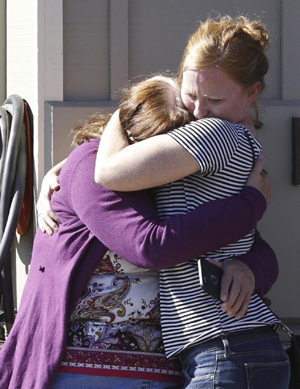 A witness reports he asked students what their religions were before he began shooting. One student at the college and the sister of a second student both told news organizations that Mercer 26, told people in classrooms to stand up and declare whether they were Christian. If they responded yes, they were shot in the head. If they answered no or gave some other answer, they were shot elsewhere. The attack ended when police shot the gunman on campus. 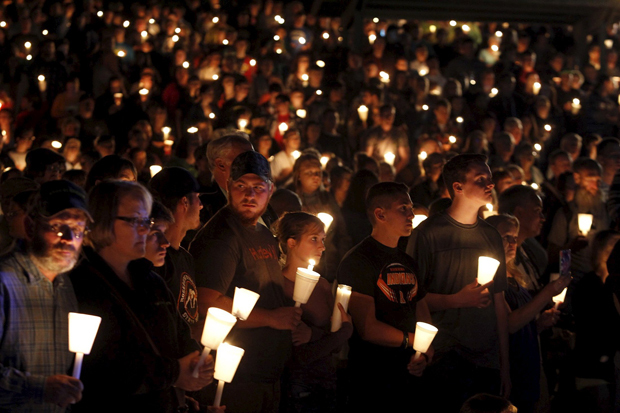 Portland Archbishop Alexander K. Sample rushed a letter to the people of Roseburg hours after the shooting. The archbishop went on to say he cannot begin to make sense of the tragedy. The archbishop told Catholics in Roseburg to “unite their suffering” with those directly affected and to pray for healing and strength of those who lost loved ones. Some of the injured were taken to Mercy Medical Center in Roseburg. More critically injured patients were transferred to PeaceHealth Sacred Heart Medical Center in Eugene. Of those transferred patients, two were in critical condition and one is serious, a PeaceHealth spokeswoman said. Many Catholic parishes in Oregon are sending what organizers call “Posters of Hope” to St. Joseph Church in Roseburg. Teens have been writing messages of encouragement and love for Roseburg residents. Comments have come from around the nation. 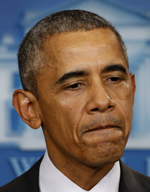 “There’s another community stunned with grief, and communities across the country forced to relieve their own anguish, and parents across the country who are scared because they know it might have been their families or their children,” President Barack Obama said at the White House Oct. 1. “What should have been a sanctuary for education and a symbol of bright futures will now become the latest memorial of victims lost to America’s gun violence epidemic,” said Dan Gross, president of the Brady Campaign to Prevent Gun Violence. “It is time that we shake off our collective lethargy and root ourselves in a deep, sustaining and holy anger which will fuel a movement to end this insanity once and for all,” the statement added. Langlois is a staff writer at the Catholic Sentinel, newspaper of the Archdiocese of Portland. Contributing to this story was Mark Pattison in Washington.